Feature film websites can often be pretty unimaginative things, but every now and then one comes along and provides a bit of a surprise. 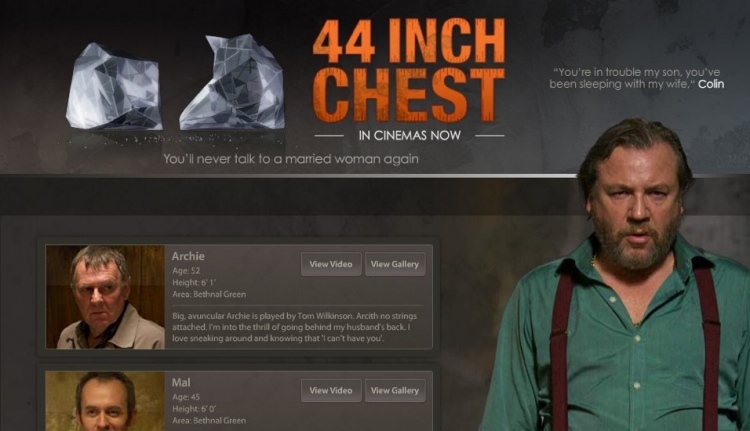 This is certainly the case with the website for 44inch Chest (you might want to put the sound down if you’re at work). If you’ve seen the film, the site will make perfect sense, if not, it’ll give you a little taster of what you can expect.